3D Demolition can safely and efficiently demolish buildings and structures of any scale or complexity. We use 30+ years of demolition experience and careful planning to ensure your commercial demolition in Brisbane is completed safely, on time and on budget. Call 0401 314 356 today to get a quote for your demolition project. 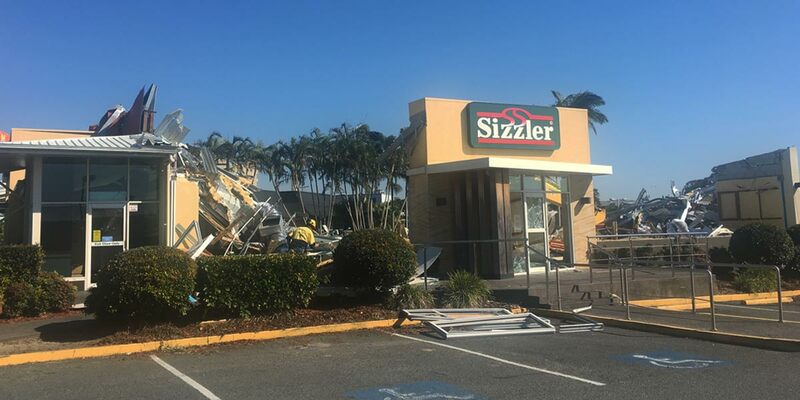 We offer commercial demolition Brisbane wide and other areas in South East Queensland like Toowoomba and the Sunshine Coast. Demolishing part or all of a commercial structure can be a complicated process. It often involves working in densely-populated urban environments and restricted work areas alongside operating businesses and the general public. 3D Demolition is experienced in working efficiently and cohesively around other trades and residents, ensuring minimal disruption to your project time frame. We take all necessary precautions and implement safety procedures to ensure that our staff, your employees and other people around your site are safe throughout your demolition. We pride ourselves on being punctual, professional and flexible, getting the job done smoothly and correctly no matter how complicated your demolition may be. Our expert knowledge of commercial demolition delivers results on time and on budget. We also use modern equipment and the right machinery to ensure maximum safety and efficiency. Each project starts with thorough planning and preparation, considering your site and requirements to create the most effective demolition strategy. Our expert demolition team will then execute this plan with precision, completing the project to get the results within the timeframe you want. You’ll also work directly with our managing directors and site supervisors to develop a demolition strategy that suits your requirements. They will also manage all demolition and asbestos removal on site, overseeing the entire project so that it runs smoothly with minimal issues and delays. Our own heavy machinery allows us to mobilise whenever and wherever you need us, with no delays trying to source subcontractors. We’re also licensed to remove bonded Asbestos Containing Material (ACM) and can safely deliver this service in-house before and during demolition. With our fleet of heavy machinery and demolition equipment, we can complete jobs without help from third parties, minimising downtime so that you can prepare your site for the next stage of development sooner. With over 30 years of demolition experience, we have the expertise to provide the right solution for even the most challenging or complex projects. We pride ourselves on offering quality work at an affordable, competitive price. Get more value for less with 3D Demolition! Talk directly with our managing directors to get advice to suit your needs and budget. We work around your goals and objectives so that you always get the results you want. We pay attention to every detail so your business, our team and your surrounding establishments are safe from start to finish. We take active steps to ensure we recycle as much building material as possible to reduce landfill. We also strive to use techniques and solutions that make the smallest impact on the environment. With our internal fleet of machinery and skilled operators, we’ll complete your project on time according to plan. We always plan ahead and create contingencies to stay on schedule and minimise delays whenever possible. If you’re looking for a professional and reliable commercial demolition in Brisbane, choose 3D Demolition for your next project. Our team of experienced demolition specialists will help you get the job done quickly and efficiently so you can resume development as soon as possible. We can demolish any commercial building and ensure the entire process is safe for everyone involved. With 30+ years of demolition experience and a fleet of heavy machinery and demolition equipment, we’ll complete your commercial demolition on time and on budget. Choose the professionals at 3D Demolition for your commercial project and experience the difference. Our expert knowledge of commercial demolition delivers safe and efficient results, on time and on budget. We use modern equipment, thorough planning and an expert demolition team to execute every project with precision. Our managing directors and site supervisors, will work directly with you to develop a demolition strategy to suit your needs. They’ll also oversee all demolition and asbestos removal on site to ensure safe work practices and excellent results. The team at 3D Demolition is experienced in working efficiently and cohesively around other trades and residents, ensuring minimal disruption to your project time frame. We pride ourselves on being punctual, professional and flexible, to keep the job running smoothly. Our own heavy machinery allows us to mobilise when and where you need us, with no delays trying to source subcontractors. We’re also licensed to remove bonded Asbestos Containing Material (ACM) and can safely deliver this service in-house before and during demolition.